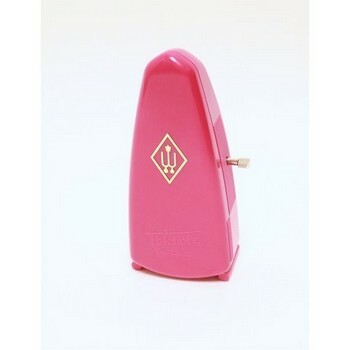 The Taktell Piccolo Pocket metronomes have a plastic casing that come in a variety of color options. The metronome is made in Germany and is extremely accurate. The timing is selected by sliding a sliding counterweight. The metronome is given power by turning the key in the side. The bottom has a special spot to hold the key so it won't get lost. Replacement counterweights and keys are available separately.